Chapter 9: What Is Vlogging? You are here: Home / Free Ebooks / Chapter 9: What Is Vlogging? Everyone is witnessing the remarkable growth of video on the internet. Just to illustrate this omnipresence of video, it is reported that 500 million people are watching videos on Facebook every day (Source). It is also important to add YouTube statistics. 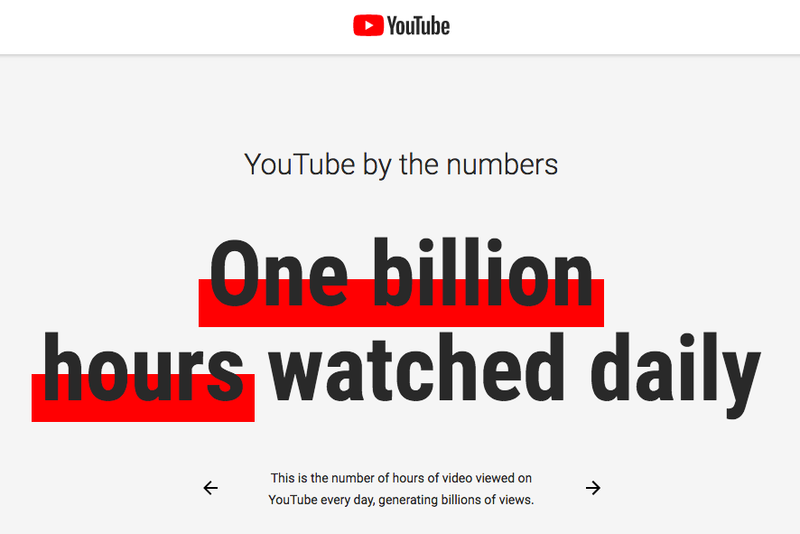 As the most popular video sharing platform, YouTube reports that one billion hours of videos are watched daily on this platform alone. Like with blogging, vlogging is a content format that has been affected by technology development. As soon as the technology necessary for video content production became widely available, video as a content format became increasingly used. Vlog is short for a video blog. It is a content format which uses video as the medium. Even though vlogging started in the early 2000s, it was not until the introduction of YouTube that vlogs became increasingly popular. Apart from YouTube, many CMS platforms have started integrating a video format enabling vloggers to publish their content easily. Vlogging is quite similar to blogging in many aspects. In fact, many bloggers have become vloggers, and many vloggers also have a blog. The main distinction is the presentation of content. Although blogging has a lot of benefits and presents an amazing opportunity for creators to express themselves, vlogging gives an extra dimension to this presentation. Using video enables a more interactive experience and possibility to connect with the vlogger more deeply. There is a variety of vlog topics and styles. We can differentiate between two main types of vlogs. These are the videos that are recorded by the vlogger, usually in a setting that is prepared. This kind of video can also be recorded in public, during events, performances, i.e., in the situation where the vlogger does not prepare the set. The topic and the style of this type of vlog can vary, so there can be many subtypes of recorded videos. Still, the main characteristic and the main advantage of such videos is the full control the vlogger has over the content that is created. Once the content is recorded, the vlogger has the time to edit the video before it is made public. Live broadcasting vlogs are more spontaneous as they are not edited before publishing. Instead, they are broadcast in the moment of recording. A huge benefit of such vlogs is a possibility to broadcast events in real time. Live streaming also supports community interaction through live chat that allows an opportunity to involve the viewers in the moment of broadcasting. This could also be a drawback because there is no room for errors. The content cannot be edited later on, like with recorded videos. Many reasons have contributed to such massive popularity of vlogging. Easy to create – Depending on the content idea and presentation, videos can be quite easy to create, especially live broadcasting vlogs. All you need is your phone, and you are ready to start. Of course, vlogs can involve a more complex setting than that, so extra lights or props can be used. If the video is recorded, video editing software is used to edit the material. Even though the video production can get advanced and complex, vlogging is essentially an easy-to-create type of content. Hence, its popularity and the number of vloggers which is continuously on the rise. Vlogging is affordable – With no other equipment than your phone and no other software than YouTube, vlogging is a very affordable type of content. You can start vlogging with no budget at all. Just like with blogging, starting with a budget or investment can make a difference later on. People love videos – Over 70 000 videos are viewed in 1 second on YouTube (Source). The video format is easy to digest, it is easy to view on the go, and it attracts more attention than written content. This is why people love videos. Visual content performs better – Exploring blogging statistics, you will soon discover that visual content performs better. While most bloggers leverage the use of photos and use them to complement their written content, vlogs can do the same job, if not even better. Vlogs can be an excellent addition to your blog in the form of engaging content, while at the same time blogs can be a useful platform to promote your vlogs. This is how the two complement. How to use vlogging in business? Vlogging, like blogging, has opened up so many opportunities for people looking to build an online career. A lot of successful vloggers nowadays started this as a hobby, but have managed to turn this hobby into international fame, career, or online business. However, if you are a business looking for ways to leverage vlogging in your business, here are some helpful ideas on how you can do so. Decide who the vlogger will be – Preferably, it should be one of the founders or team members who have been with the company the longest. Type of content you want to feature – Create a content strategy defining exactly what kind of content you want to create for your audience. This will help you coordinate vlogging with overall company goals. Vlog consistently – Vlogging helps you create an audience who will follow your activities through vlogs. To make sure you keep your audience engaged and for them to know what to expect, try to vlog consistently. This kind of an approach helps you make a connection with the audience. 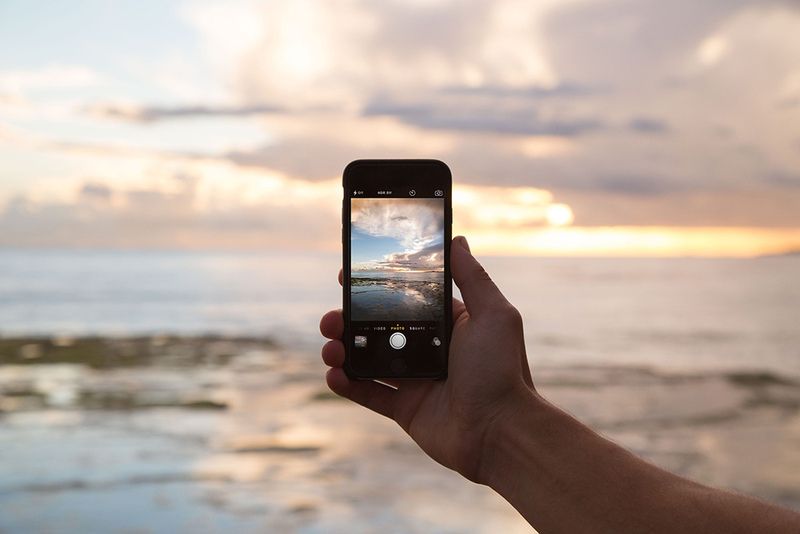 Unlike other ways to interact, such as email or social media profiles, vlogging provides a deeper connection with the audience. They can get to know you personally. You can also include them in the creative process, thus increasing the trust in your brand. Vlogging can help with highlighting your qualities and promoting your business to the online users. Furthermore, you have complete control over the content that is created and shared through a vlog. The alternative approach is to collaborate with vloggers on projects. The main advantage of this approach is that it requires much less involvement from you in the creative process. You do not need a vlogger, a strategy or equipment to record a vlog. Instead, you find a vlogger who can promote your business on your behalf. In this case, either you can contact the vlogger to send the details about a possible collaborative project, or you can send products (provide free service) hoping to get the attention of the vlogger and being featured in one of the vlogs. The first method offers more control over the content and how the product/service is integrated into a vlog. As you discuss the project details, payment can also be one of the points you should focus on. On the other hand, the second method is a more spontaneous. You do not set any conditions, you simply send your products and hope to get a positive review. The most evident advantage of this kind of vlogging is that you can work with popular vloggers and instantly get noticed by their followers. When starting on your own, you will have to work hard to get that many views. Being promoted by the vloggers can help you a lot with expanding your reach and establishing your brand on the market. To get this kind of recognition, you will have to offer a high-quality product. Since vloggers often enjoy respect among their followers, they will not promote just about anything. Also, some vloggers will feature brands only as part of a paid promotion, which is something you should plan with your budget when implementing video format in your online marketing. It is safe to say that vlogging is a format that gives so many opportunities for businesses. From involving the viewers in the creative process to showing a more personalized image of your brand, vlogging is an incredible strategy to use in the online promotion of your business. Explore how it can be implemented, find vloggers you could work with, and make sure you analyze the performance of vlogs to evaluate their role in an overall content marketing strategy.